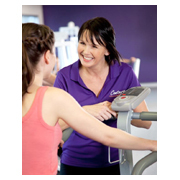 The Contours Gym Maylands is part of the Contours female fitness franchise with over 70 locations Australia wide. Contours Maylands is a womens gym that caters specifically to fitness & weight loss needs of women living and working close to the Maylands area. Conveniently located at the corner of Guildford Road & Eighth Avenue, you'll find it fun and easy to be a member at Contours Maylands. If you're looking for a fun, friendly gym for women that helps you fit a workout into your busy lifestyle, look no further than <?xml:namespace prefix = st1 ns = "urn:schemas-microsoft-com:office:smarttags" />Contours Maylands. 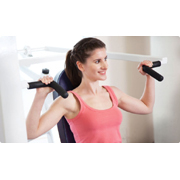 Since 1998, Contours fitness and weight loss studios have been helping women all over the world achieve their goals. Experience the new wave in women's fitness - it's fast, it's friendly and it's fun. The Contours Gym Maylands is unlike any other gym - we invite you to experience the difference today. At the Contours gym in Maylands, our innovative exercise workout takes just 29 minutes from start to finish, including warm up and stretching. So you're in and out in no time. The workout combines weight bearing equipment with a cardio workout, so you're improving your strength and your fitness at the same time. Best of all, there's no waiting to use equipment - our unique workout system keeps everyone moving. And unlike some other gyms, we use real weights, so you'll see real results. 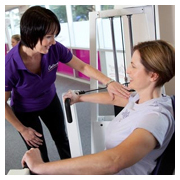 At Contours Maylands, our friendly female staff can help you achieve your goals. We'll take you step by step through our innovative 29 minute workout. And we're always at arm's length for additional advice on working out, losing weight, your eating habits - or simply a chat! We have an exercise and diet plan that's right for you. And because we're small we can get to know you and your needs - it's like working out with a friend. Drop in today for a chat and to find out how easy it is. And probably the most appealing thing about Contours Maylands, is that it's affordable. You're not paying for fancy change rooms and child minding, just a great workout with friendly, trained professionals. You'll be surprised at how inexpensive our gym membership is. Why not book in today for a free trial - it'll only take 29 minutes.